From Underwater World, we walked to Monorail Station No. 7 and boarded one of the 6-pax cars of the Sentosa Monorail that circles Sentosa and alighted at Station No. 1 (Sentosa Ferry Terminal). Here, we plan to watch the 7:30 PM Musical Fountain (also known as the Magical Fountain of Sentosa) show. The Sentosa Monorail was closed in 2005 and most of the island’s monorail was dismantled, though parts of the original track structure still remain. The monorail was replaced by the red, blue and yellow bus lines. Started in 1972 and opened, 10 years later, in 1982, the fountain show was designed by world-renowned fountain designer Yves Pepin. The star attraction at the resort, it was just upgraded early in the year and the fountain is now Neo-Classical in look, with heavily decorated arches. 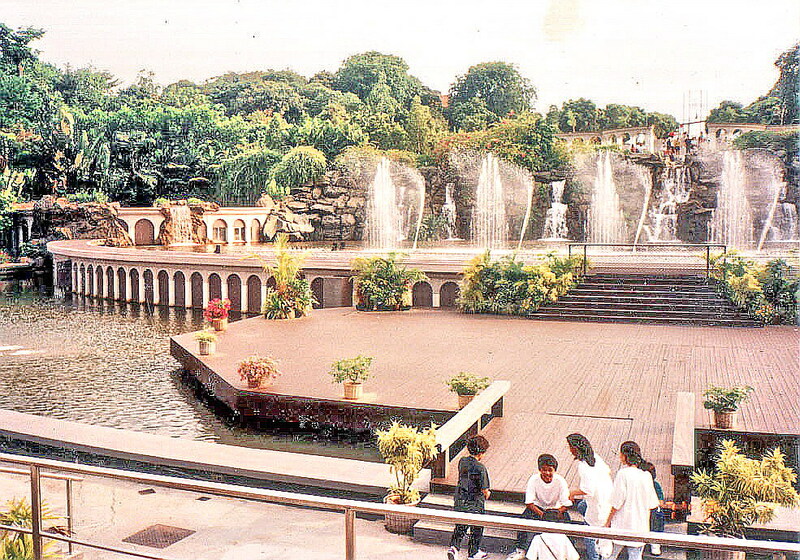 Its design was also themed to look like a nature wonderland, with small ponds, shrubs and gigantic man-made waterfalls flanking the fountain grounds. The pool consisted of 25 million gallons of water which took 3 man-hours to fill and the fountain and could be shot up to 20 m. It had more than 19 different water formations including the famous Phoenix flanked by waltzing “chorus-lines. It was already late in the afternoon when we arrived at the amphitheater which could accommodate 5000 people seated and at least 100 standing. The 7 seating zones in the arena were themed after the colors of the rainbow. The 3 minute and 36 second fountain display show we watched was said to have been inspired by the synchronized dance of the Fountains of Bellagio. The show capped our visit in Sentosa. 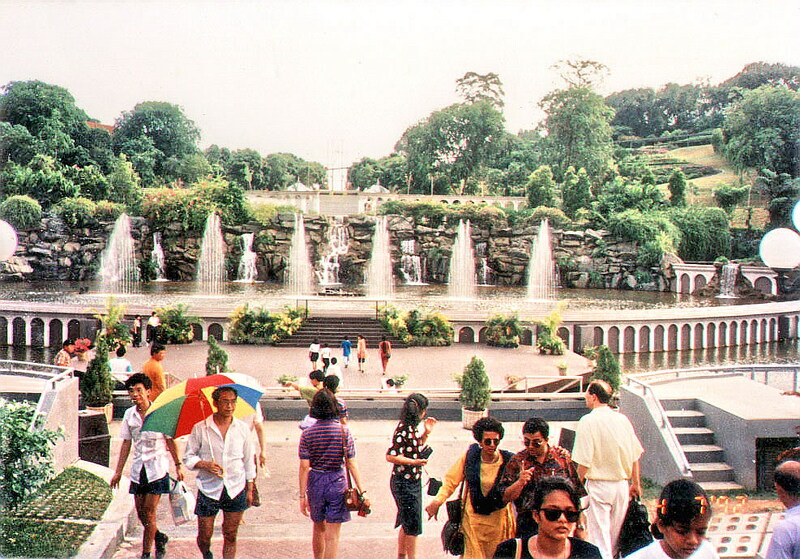 The Musical Fountain underwent a major restoration and upgrading project in 1999. In 2002, Yves Pepin replaced all the musical fountain shows with the Magical Sentosa Show but this show did not last long. After operating for 25 years, it was shut down to make way for an integrated resort called Resorts World Sentosa . Its last show was staged on March 25, 2007 and was replaced by the “Songs of the Sea” show. The area once occupied by the Musical Fountain is now occupied by the Lake of Dreams, Hotel Michael and Crockford Tower. 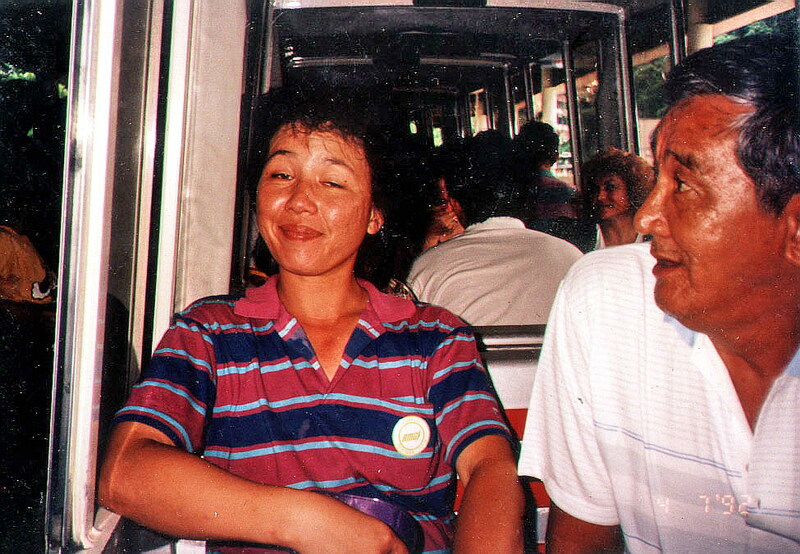 This entry was posted in Entertainment, Singapore, Republic of, Theme Parks by Benjie Layug. Bookmark the permalink.